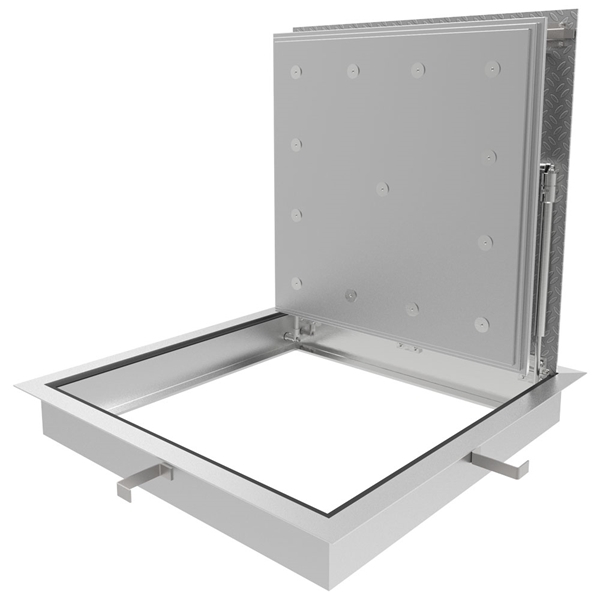 Babcock-Davis' Fire-Rated Diamond Tread Floor Door is designed to contain a fire from penetrating through the opening. 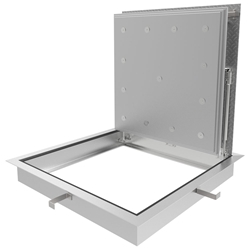 This floor door is reinforced for pedestrian traffic loads and features a diamond tread cover. Interior applications only. Cast In: 1/4 inch by 1 inch by 4 inch anchor straps welded for concrete pour. Latch Slam latch, Type 316 Stainless Steel, with inside pull release cable, includes removable 5/16 inch steel square "L" handle and thread plug.